vintage, japanese, retro, artist, rune naito, kawaii, stickers, sticker sheet, midori. YOU WILL RECEIVE THE 2 STICKER SHEETS IN THE PHOTOS. 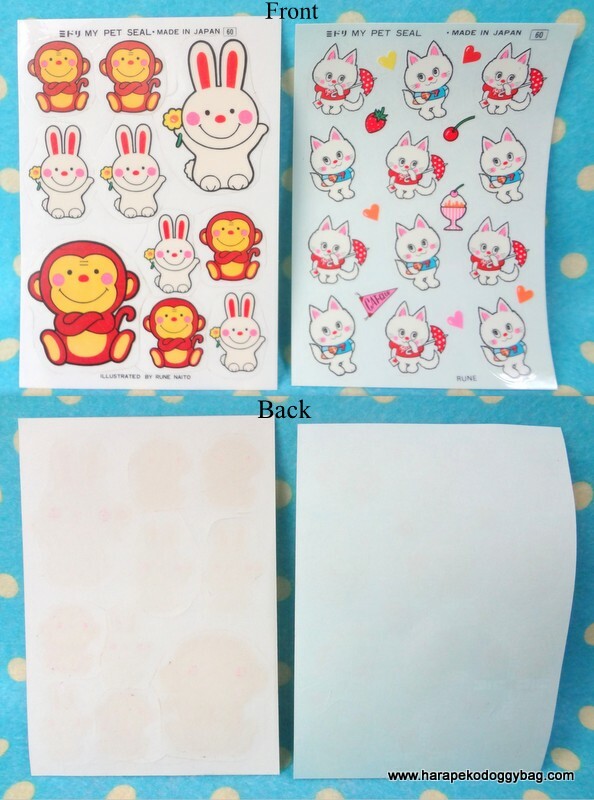 Here is a set of 2 sticker sheets with kawaii animal illustrations by Rune Naito. The sheets are quite old and there is yellowing and handling wear. The stickers were made around the 1960s-70s. Keywords: vintage, japanese, retro, artist, rune naito, kawaii, stickers, sticker sheet, midori.